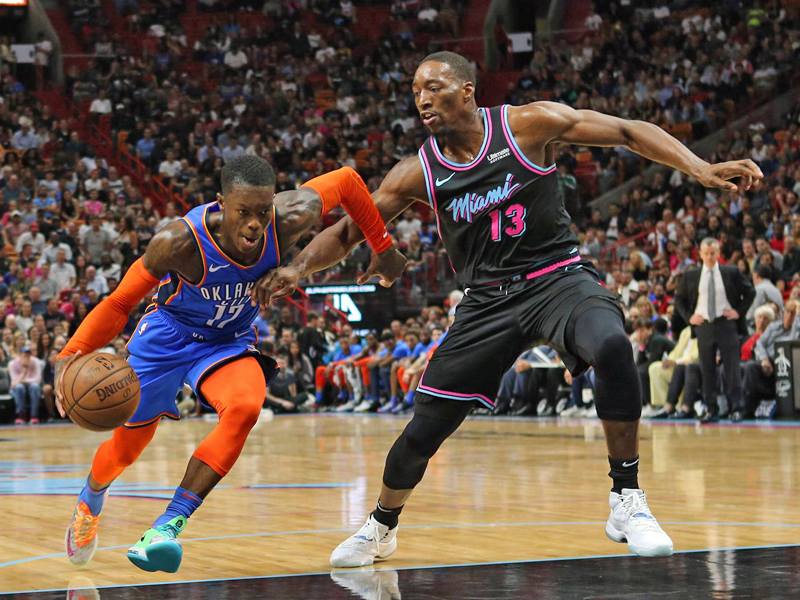 Dennis Schröder showed the next brilliant performance in Miami, but was still outbid. In New York, the game became a side note. Dennis Schröder is possibly experiencing his best phase as an NBA professional. The Braunschweiger, who played a decisive role in the victory in Orlando with his Q4 Gala, also shone at the 118:102 of his Thunder in Miami. On Friday evening, Schröder grabbed the second twelve minutes, hit each of his nine attempts, scored 24 of his total 28 points and made his mark on the game. In the end, Schröder once again excelled with an impressive goal rate of 84.6 percent (11/13, 4/6 threes). Because Russell Westbrook played his next triple-double (14 points/12 rebounds/14 assists) and Paul George – as so often in the past months – put everyone in the shade (43/7/5 – 10 threes! 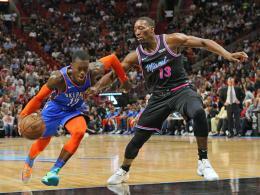 ), OKC scored their seventh victory in a row in South Florida and is currently firmly in the play-off saddle. Basketball was also played in New York, but the twelfth defeat of the Knicks in a row (this time against Boston) was only a marginal aspect. The match against Celtics was still dominated by the Porzingis trade on Thursday. On the one hand, because New York remained only a residual ramp without the newly acquired players from Dallas; on the other hand, because the Knicks audience loudly made it clear before the start of the game who they wanted to see in New York next summer. “We want Kyrie”, it echoed several times from the stands in Madison Square Garden. Kyrie Irving is one of several superstars associated with a summer change to the Big Apple. The Knicks have Cap Space for two maximum contracts in the coming off-season, theoretically for Irving and Kevin Durant. Only the singer wasn’t really happy. “At the moment this is nothing but a distraction”, Irving complained, with 23 points and ten rebounds the best scorer at the 113:99 of his Celtics. “I really appreciate the support in every arena, but right now it’s just nonsense. I can’t change anything, so I have to accept it.” It was Boston’s eighth victory in the last ten games, by the way, and the record champion has pushed the Indiana Pacers out of fourth place in the east.